The romantic Riau Archipelago is scattered across the South China Sea, south of Singapore, off the east coast of Sumatra. Bintan Island has pristine white beaches fringed by ancient rainforests. The Bintan collection is inspired by the beautiful natural wonderland of this tropical island, just over the horizon from one of the world’s most vibrant cities, Singapore. Memories of the Eames house and studio in the Pacific Palisades, as well as Indonesian ethnographic art recalled Brancusi’s wonderful studio of tribal-inspired forms. The Bintan suite of furniture is a duet of modernity and nature, of the metropolitan and the rustic, of technology with sensuality. The vulnerable abdomen of the hermit crab is protected from predators by a salvaged empty seashell. Its whole body can retract into this shell which it carries its on its slender yet strong legs. 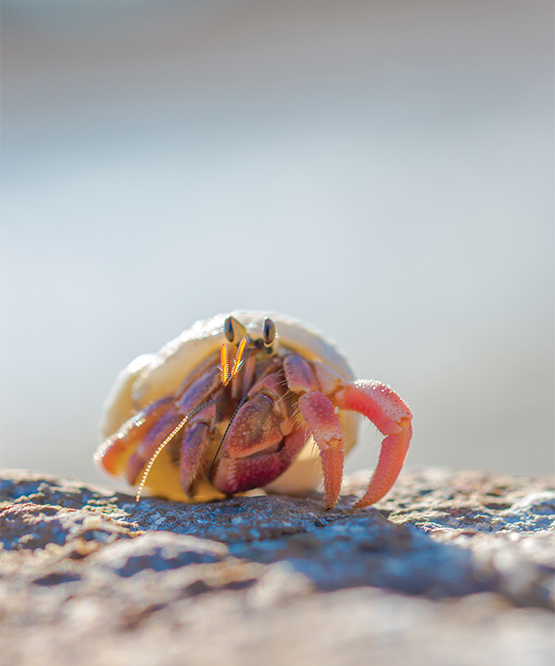 As hermit crabs grow, they require larger shells and will "move house" to find a more comfortable abode. 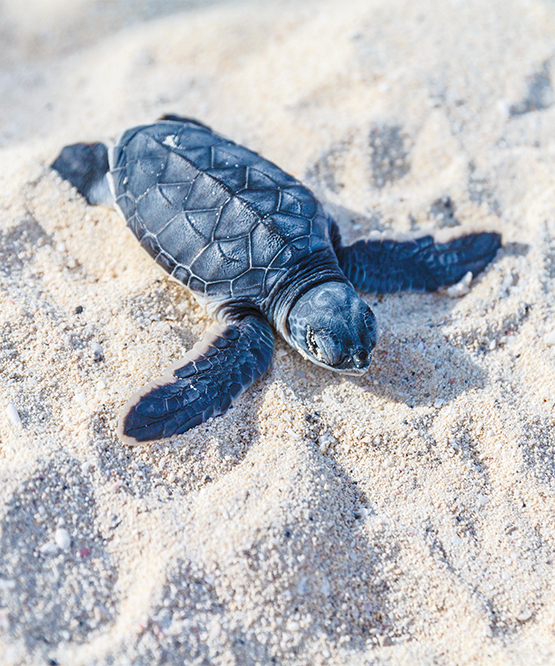 On Bintan island, sea turtles lay their eggs in the fine white sand. Hermit crabs totter around on spindly legs under their weighty seashells. Combining these impressions of vibrant nature with the studio aesthetic of modernism we developed two families of chairs, the crab series and the turtle series. The turtle series have a broad, smooth solidity. Their form is reminiscent of turtle flippers and shells. The crab series contrast fine metal legs with padded shells. The two ranges are designed to co-exist and complement each other. The massive turtle recliner can anchor a setting, while the crab chairs can dance in front of a window. Designed for a beachside getaway they are comfortable, cool and cheerful and complement any relaxed space that dreams of the weekend.